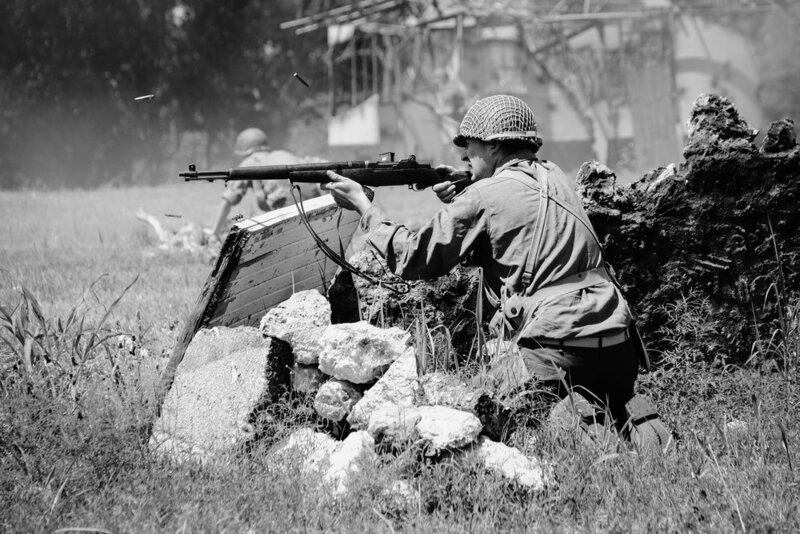 One of the things I try to make a point to do over the Memorial Day weekend is to pay a visit to Camp Mabry, where a WWII Reenactment always takes place. It's always a sobering experience for me as this small bit of living history brings to mind the tremendous sacrifice made by our military for the sake of the freedoms we get to enjoy. It's not about glorifying war. It's about recognizing the price paid by too many of our soldiers. While the mock battle between US and German troops is the highlight of the event for many people, I more enjoy wandering around among the troop camps, talking with the reenactors, and getting some candid shots as they prepare for the battlefield. These guys take their roles seriously and if you hang around in the background, you'll catch some war faces. All images were captured with a Fujifilm X-T2 and 50-140mm lens using the Acros film simulation. More photos from the event can be found on my gallery site.